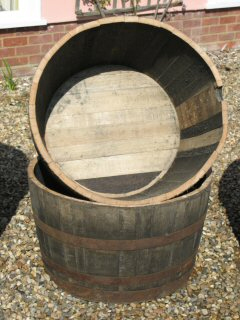 Slightly wider & shallower than the ordinary whisky barrel making it a similar size to the wine barrel planter. Priced for each 1/2 barrel. They vary between 16-19" high and approximately 27" wide.